The Barcalounger Colima theater sofa leads the way in stylish innovation. This chair's premium top grain leather finish affords the finest in lush texture, swank appearance, and long-lasting durability that only becomes more pliant with age. A special 'cool gel' interior is designed to help regulate the temperature under your body, so you stay comfortable even after hours of use. 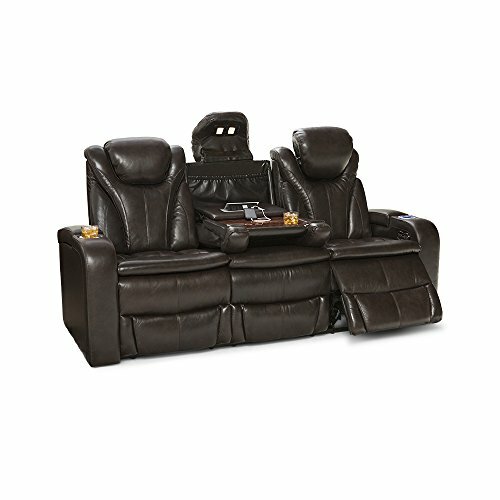 This theater chair's strong, bold design features diagonally bolstered sides and a powered headrest, so that your head can instantly adjust to any desired position. If you have any questions about this product by BarcaLounger, contact us by completing and submitting the form below. If you are looking for a specif part number, please include it with your message.